An essential contribution to know if you should build microservices and what it means. Microservices are everywhere. Everyone talks about Microservices at major conferences all around the World but they are not new. Big players like Amazon and Netflix have been building distributed systems using this architecture since for many years. Sam Newman has worked for many companies that try to follow the lead. In this book, the first one on this subject, Sam does an incredible job at explaining all the concepts and condensing lot of practical advices. Every decision you should take is discussed. Every choice is debated in light of its advantages and drawbacks. Microservices are hard. That’s fact acknowledged by the author who does not try to hide the complexity of this architecture. However, Microservices has lot of benefits too and Sam will convince you to seriously consider this style of architecture. The book clearly lacks details about implementation. This is not the aim of the book, even if the title does confuse some readers. When more details are required (REST, Testing, etc), the author recommends other well-known books. Building Microservices is language-agnostic and this is great strength. It includes many high-level examples like Netflix even if more details would have been better (examples of bounded contexts, architecture diagrams, etc). 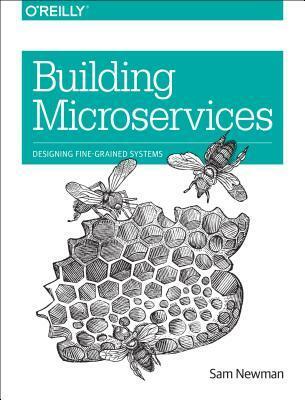 Ultimately, Building Microservices is THE book was waiting for. It distills lot of information that is difficult to find elsewhere and it’s always better to begin with general overview which is exactly what this book does.